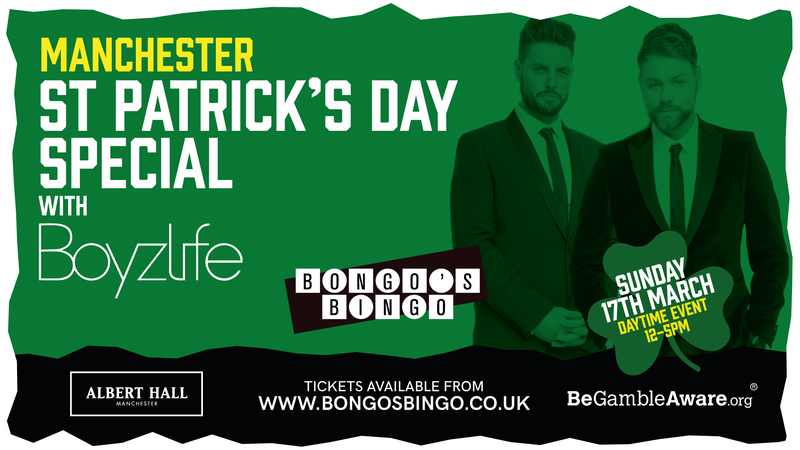 Helping to add an extra dose of magic across the fabled Guinness-infused weekend of St Patrick’s celebrations, who better to join Bongo’s Bingo party than two of the show’s most loved guests - Boyzlife. Irish sensations Brian McFadden and Keith Duffy are bringing back their electric performance packed full of chart-topping sensations. Expect Westlife and Boyzone hits, including up tempo classics to beautiful ballads, and plenty of favourites for good measure from across the years. The duo combine to thrilling effect and will be bringing their amazing performance to the Albert Hall on Sunday 17th March at this special day time show, with doors opening at midday.